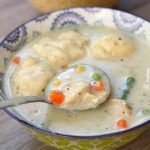 Instant Pot Chicken Pot Pie Soup–all the flavors from chicken pot pie in a soup! This super easy recipe is made in minutes in your electric pressure cooker. 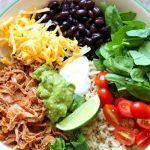 It can be made with raw chicken or leftover cooked turkey or chicken. 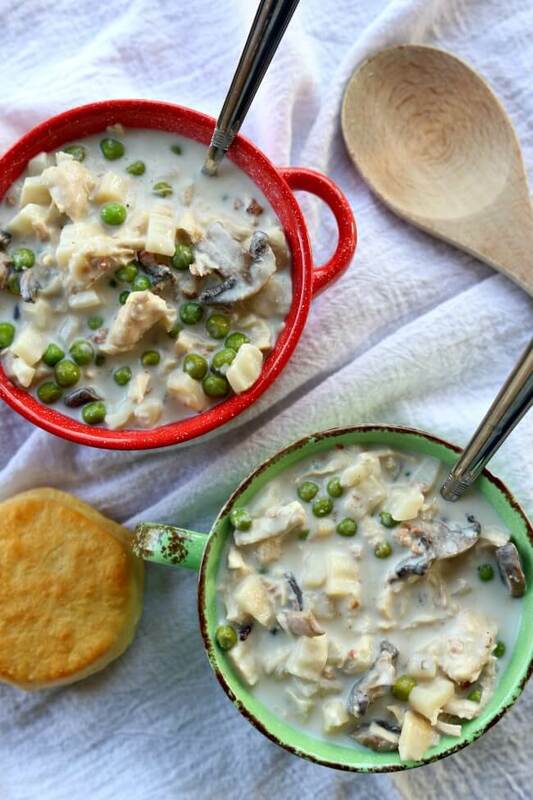 Serve the soup topped with a biscuit to make it feel like the crust of a pot pie. 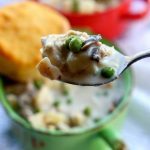 I made this instant pot chicken pot pie soup last night for dinner and everyone loved it! I ended up using frozen chicken tenders but if you have leftover cubed turkey or chicken you can totally use that instead. It’s up to you. I put in mushrooms and peas because that’s what I like but if you want to add carrots or other vegetables like green beans that would work too. It’s a very friendly and forgiving recipe. 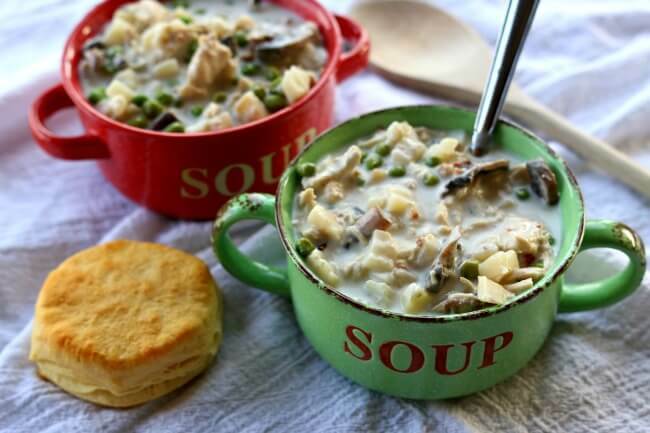 I bought store bought biscuits for sake of ease and served them with the soup to replicate the taste of a crust of a pot pie but really the soup is so hearty it doesn’t really need to be served with anything. To make Instant Pot Chicken Pot Pie Soup I used my 6 quart Instant Pot Duo 60 7 in 1. I also own the 6 quart Instant Pot IP-LUX60 V3 Programmable Electric Pressure Cooker. They are both great pressure cookers! The first one I mentioned has a yogurt making function but other than that they are fairly similar. The price difference between the two is about $20. 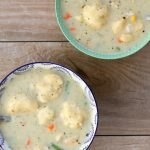 All the flavors from chicken pot pie in a soup! 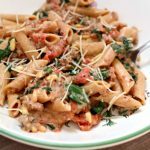 This super easy recipe is made in minutes in your electric pressure cooker. 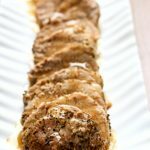 It can be made with raw chicken or leftover cooked turkey or chicken. 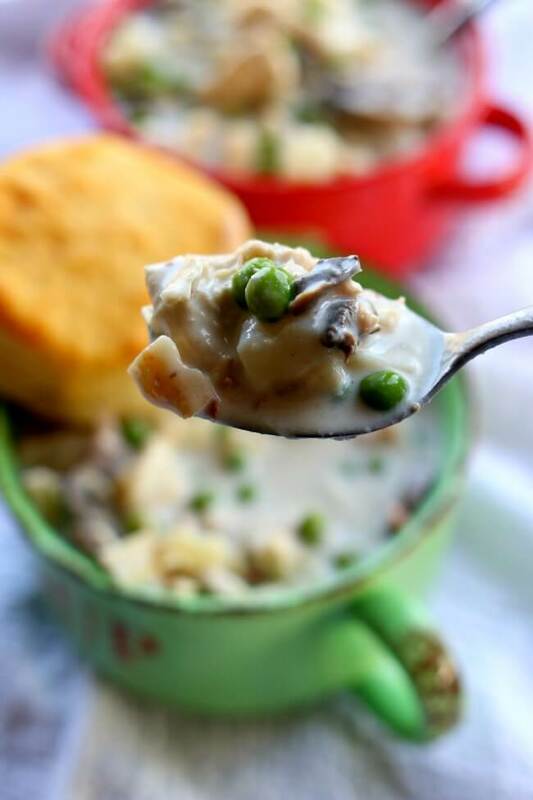 Serve the soup topped with a biscuit to make it feel like the crust of a pot pie. Add chicken broth, chicken breasts or tenders and mushrooms to the Instant Pot. Cover and secure the lid. Make sure valve is set to “sealing.” Use the manual button or pressure cook button to set the timer to 8 minutes. When the timer beeps release the pressure by carefully moving the valve to “venting.” When you can, open the pot. Turn the Instant Pot to the saute function. Remove the chicken and place on a cutting board. Cut the chicken into cubes or shred the chicken and return it to the pot. Stir in the hashbrowns, bacon, peas and cream cheese. In a small bowl stir together the cornstarch and water until smooth. Stir the cornstarch slurry into the pot. Stir until the cream cheese is melted. The soup will thicken up in about 5 minutes. Add in black pepper and then salt to taste (I added in about 1/2 tsp salt). Ladle the soup into bowls and top with a biscuit, if desired. 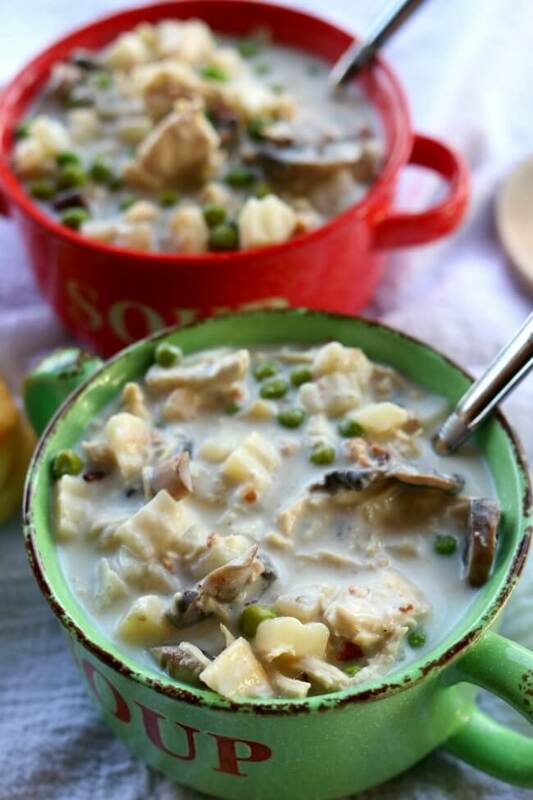 Add broth, chicken/turkey, mushrooms, hashbrowns, bacon and frozen peas to the Instant Pot. Cover the pot and secure the lid. Make sure the valve is set to “sealing.” Set the manual button or pressure cook button to 1 minute. Once the timer beeps release the pressure by moving the valve to “venting.” Once you are able, open the pot. Turn the Instant Pot to the saute function. Stir in the cream cheese. In a small bowl stir together the cornstarch and the water until smooth. Stir the cornstarch slurry into the soup until the soup thickens and the cream cheese is melted. Stir in the black pepper and the salt to taste (I added in about 1/2 tsp salt). 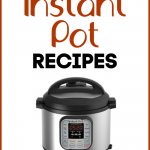 I used my 6 quart Instant Pot Duo 60 7 in 1. Yum!! Delicious, even my picky eater had second helpings should of made more biscuits! So glad you liked it Jeff! Has anyone tried this with reduced fat cream cheese? I haven’t but I bet it would be fine. 3/4 loved it (and it was surprisingly my non-picky eater who did not like it – I think he was put off by the idea of the cream cheese). Would definitely do something similar again! I am thinking about buying a Instant Pot for Christmas and I just wanted to know if I can use a Crock Pot Liner in it? I am not sure! I have never tried it. I’m not sure the bags are made to withstand that kind of heat. I would be a little nervous to try. And you didn’t tell us where you got the soup mugs???? They’re adorable! Haha! Oh thanks! I am not positive where I got them. I think I may have gotten them from the dollar store!! !